Here are my recommendations on how to spend 48 hours in Warsaw, a city that has literally risen from the ashes over the past 50 years to become a popular destination for tourists wanting to experience some of the country’s best restaurants, nightlife and cultural attractions, as well as pay respect to its dark past. The Royal Palace, which served as the home of Polish monarchs for centuries, was completely destroyed during World War II. Rebuilding started in 1971, and it reopened in 1984. Sometimes it pays to be flexible – that was one lesson I learned this spring. 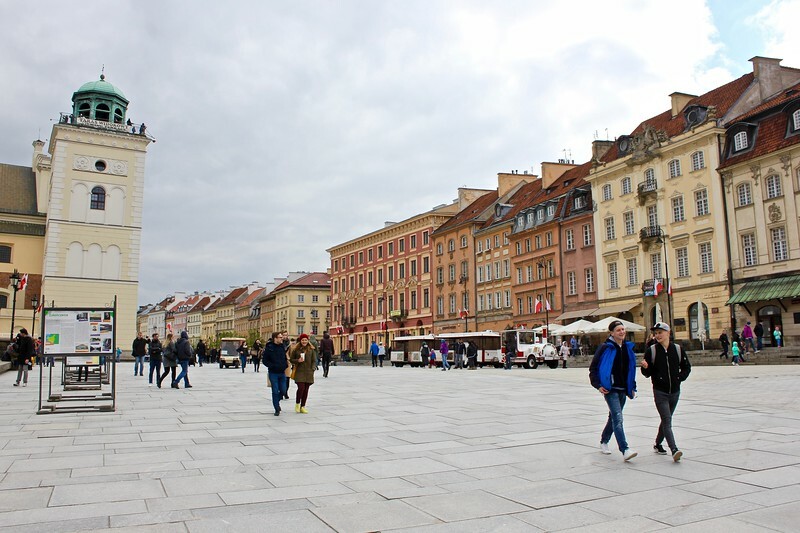 April, May and June were already booked with a series of back-to-back trips when I received a last-minute invitation to be the guest of Poland Travel on a five-day tour of Warsaw and Krakow. I knew it was too good of an opportunity to pass up, so I scrambled to squeeze it into my schedule. And I’m glad I did. As you can see from the itinerary below, it certainly was an action-packed trip! 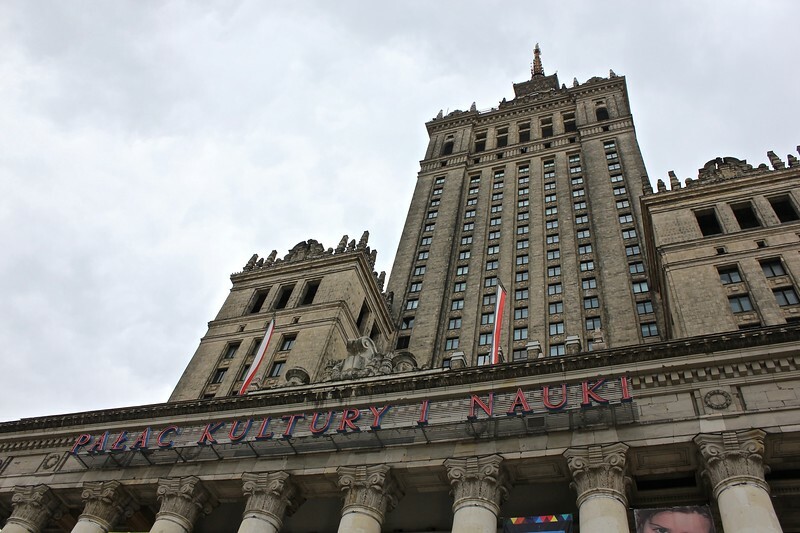 The Palace of Culture and Science is a good first stop on your tour of Warsaw. A gift from Joseph Stalin in the early 1950s, it definitely commands attention – it’s the highest building in Poland at 42 stories, and it contains 3,000 rooms. Given its origin and its size, it’s considered an eyesore by some and beloved by others. Regardless of your take on it (I personally liked it for its uniqueness), it’s worth taking in the 360-degree views of the city from the 30th floor. The Palace of Art and Science houses a post office, movie theater, swimming pool, two private universities, museums, libraries, and numerous offices and conference rooms. 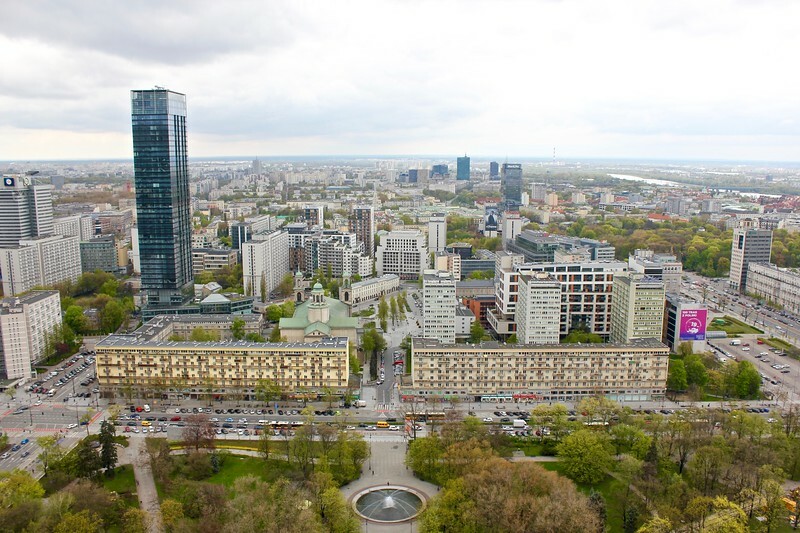 You’ll notice immediately that Warsaw’s Old Town looks a little shinier than other those of other European cities. Warsaw was almost entirely destroyed by the Germans and Russians during World War II, and the Old Town was later rebuilt to look almost exactly how it did in the 18th century. Today, it’s worth getting lost in the maze of streets, browsing souvenir shops, relaxing at cafes surrounding Market Square, and checking out memorable sites like St. John’s Archcathedral and the Royal Castle. Old Town was rebuilt using the same grid that existed from the 14th to 18th centuries. 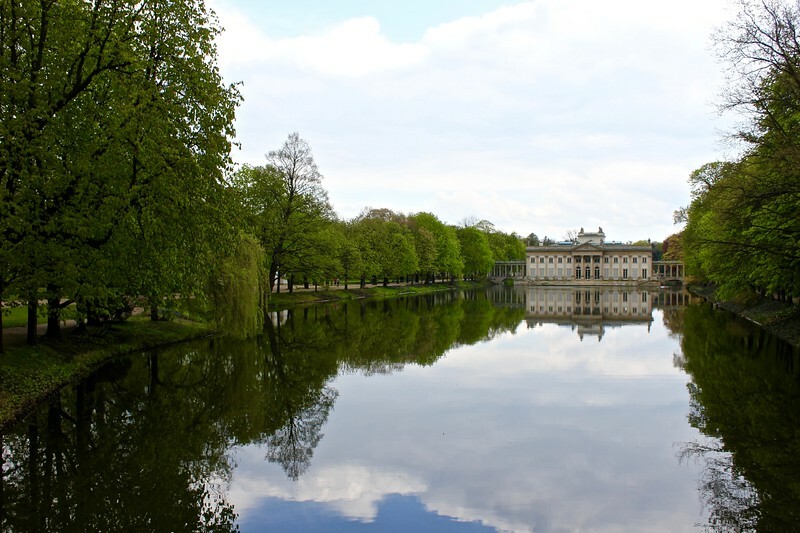 You can spend days wandering through the city’s sprawling Royal Łazienki Park and exploring all of its riches, both natural and man-made. Unfortunately, we didn’t have too much time, and the weather wasn’t cooperating, so we just made two quick stops. 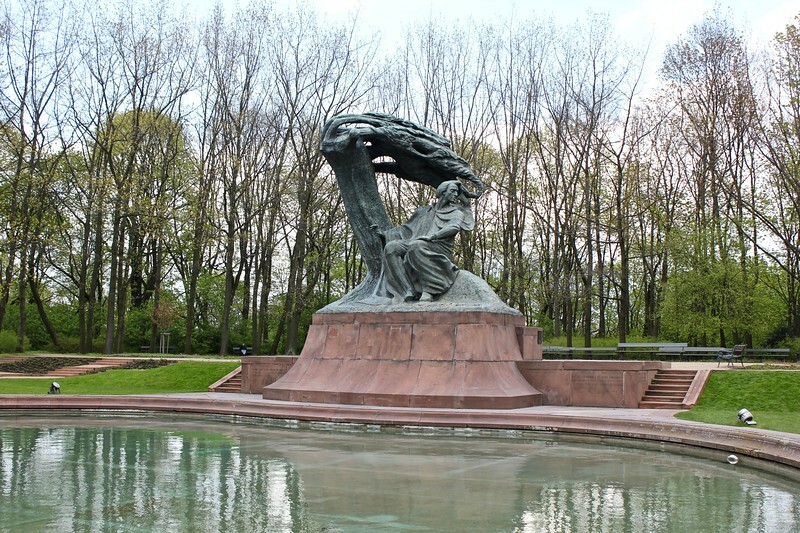 The first was to see the impressive Fryderyk Chopin Monument, considered to be the “best-known Polish sculpture in the world,” and the second was to take in the views of the stunning Palace on the Isle, which was built in the late 18th century as the summer residence of Stanisław II Augustus, the last king of Poland, and today displays his personal art collection. Pianists perform Chopin music at the Monument every Sunday in the summer. The Germans planned to detonate the Palace during World War II, even drilling holes in it for dynamite, but fortunately never carried out their plan. The Warsaw Rising Museum is an assault on the senses. It’s dark and loud, evoking the horrors of every-day life in Warsaw during Nazi occupation and the 1944 uprising through hundreds of photographs, personal possessions, and audio and video clips. The highlight was a short film showing what Warsaw looked like soon after its near-total destruction, which we were able to watch inside the replica of a Liberator B-24J bomber that hangs from the museum’s ceiling. 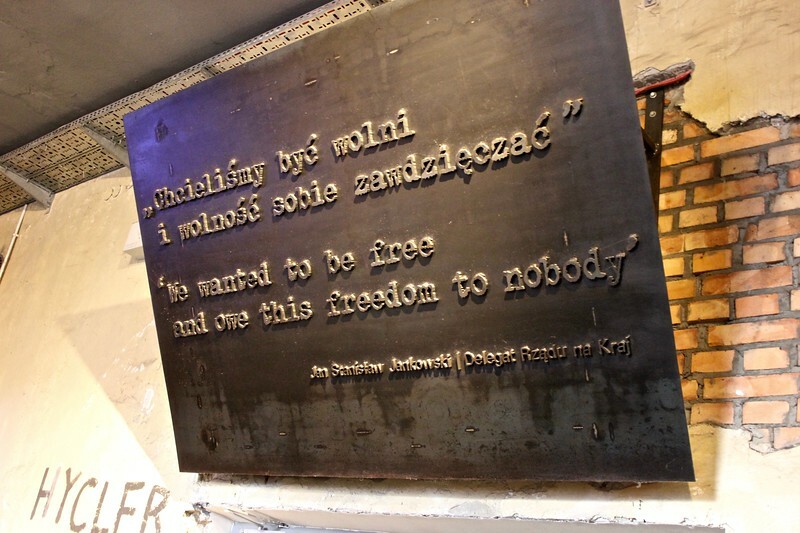 “We wanted to be free and owe this freedom to nobody.” A quote by Jan Stanislaus Jankowski hangs at the entrance of the Warsaw Rising Museum. Our first stop of the second day was to the Warsaw Zoo, not to see the animals, but to tour the museum home of Jan Żabiński, a former zookeeper, and his wife, Antonina. During World War II Jan, Antonina and their daughter saved hundreds of Jews from death by sneaking them out of the Ghetto and hiding them in their home and throughout the zoo. If the story sounds familiar, it’s because it was recently told in the book and move, The Zookeeper’s Wife. 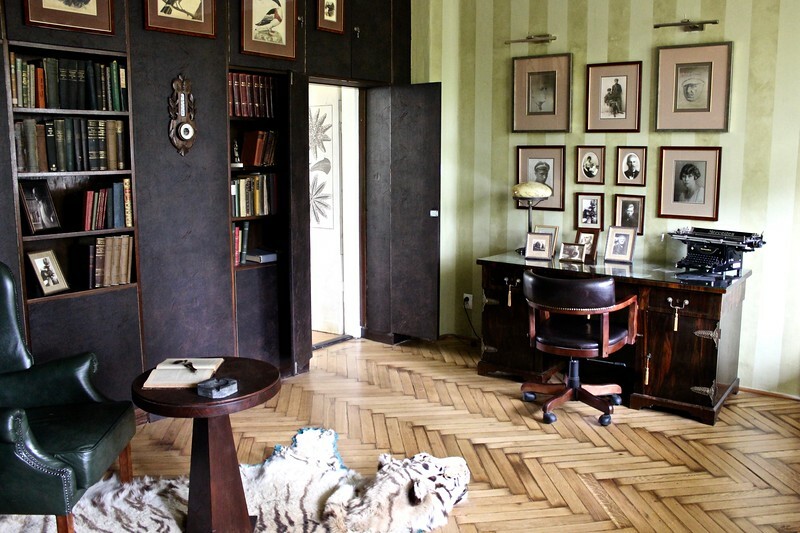 Jan Zabinski’s office in the Villa, the home where he and his family once lived. 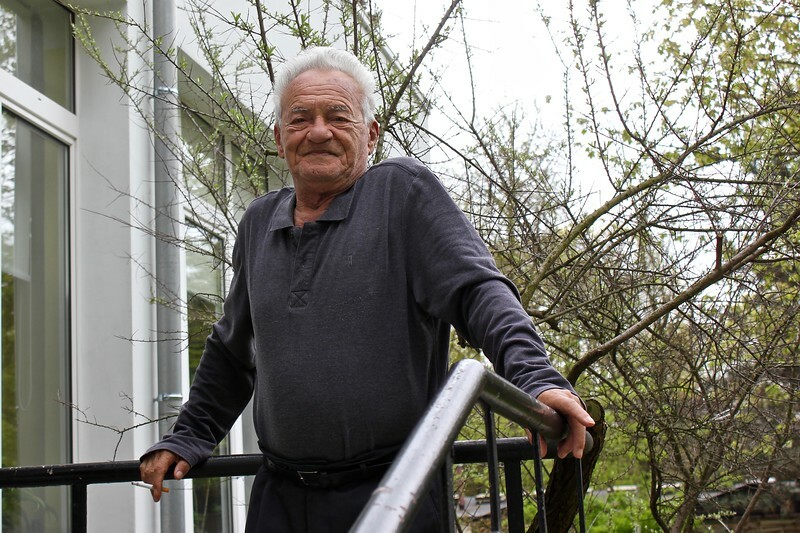 Moshe Kenigswein and his sister, Stefania Sitbon, are believed to be the only two living Holocaust survivors who were aided by the Zabinskis. He happened to be staying at the Villa at that time to attend a fundraiser at the Zoo. Located in the trendiest area of Warsaw is the SOHO Factory’s Neon Museum, which preserves and displays the neon signs that were a fixture of Polish streets during the Cold War era. Signs that once that once called out state-owned businesses and venues in a range of creative fonts now light up the dark museum walls, making for an entertaining trip back in time. 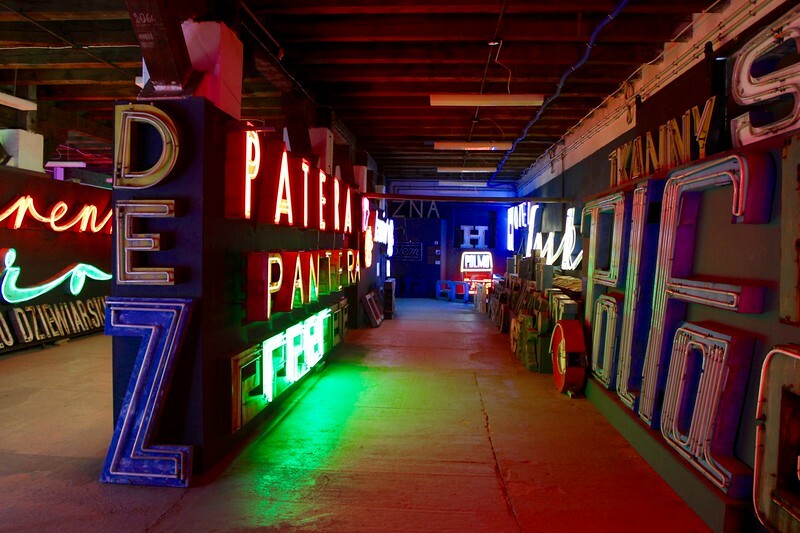 The Neon Muzeum has the largest collection of neon signs in Poland. 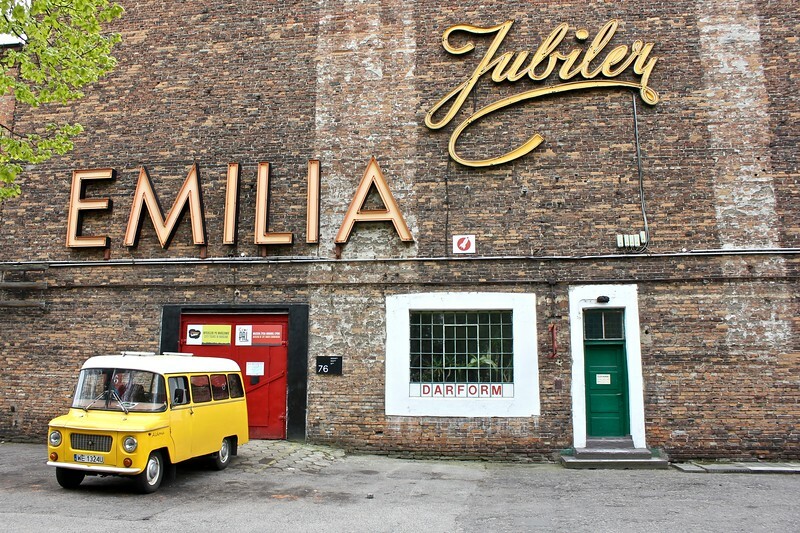 The neon signs were designed by some of Poland’s most prominent artists and graphic designers. Not only are there treasures inside the Warsaw University Library, the outside is worth exploring as well. 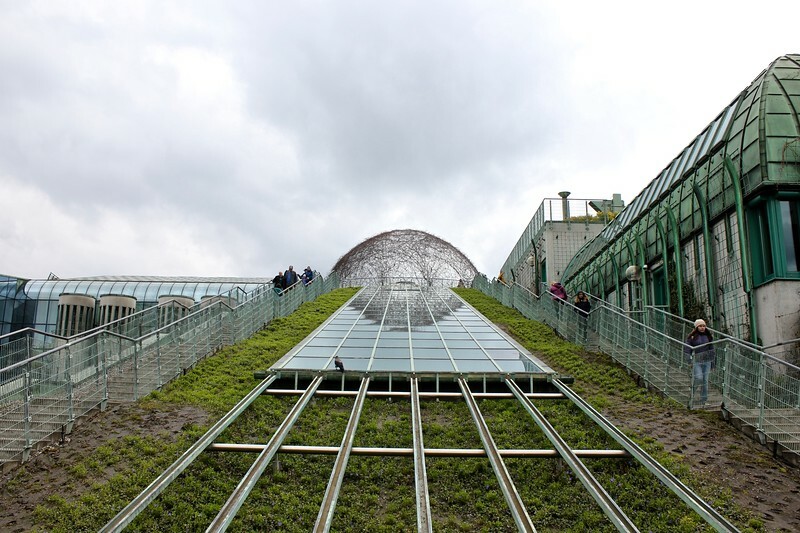 If you make the worth-while climb up to its roof-top garden – one of Europe’s largest – you can peer into the library as well as look out over the Vistula River and the city. The POLIN Museum is hands-down one of the best museums I’ve ever been to in the world. The physical structure itself is jaw-dropping, and the exhibits, which trace the 1,000-year journey of Polish Jews from the Middle Ages through the Holocaust to present day, are incredibly thorough and captivating. 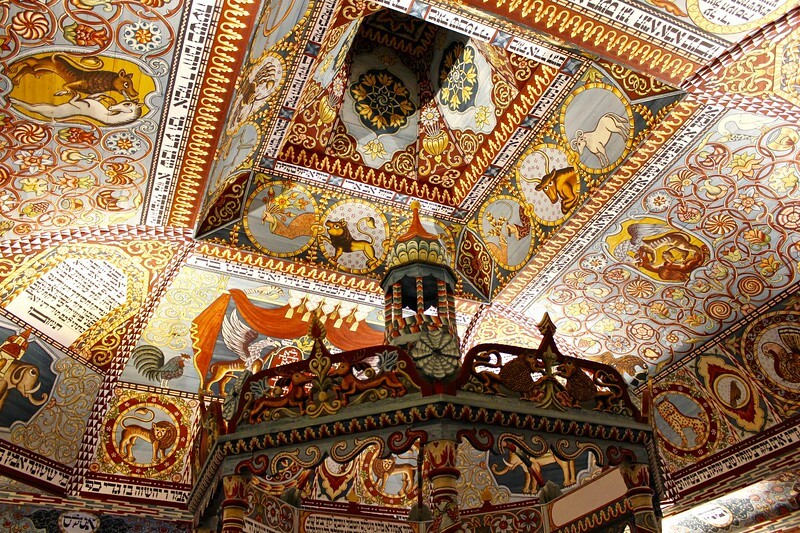 Particularly stunning is a replica of the interior roof of the wooden synagogue of Gwoździec, which was built around 1640 and destroyed during World War II (pictured below). Depending on your museum stamina, it can definitely take a few hours to fully explore. Polin means “rest here” in Hebrew, which legend says is how the Jews referred to Poland upon their arrival. 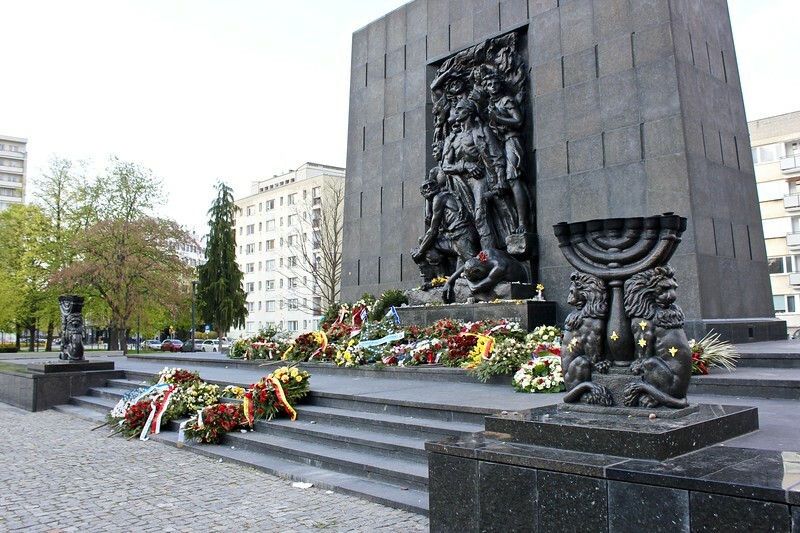 The Ghetto Heroes Monument sits in front of the POLIN Museum. Our visit coincided with the anniversary of the uprising, which took place from April 19 to May 16, 1943. If you’re looking for a traditional meal, head to Dom Wódki, where you can enjoy dishes like spiced herring, żurek (soup), black pudding, and roasted duck along with the vodkas that complement them. I enjoyed mushroom risotto at Dom Wódki, which seems to be the go-to vegetarian meal in Poland. And, of course, I had a few vodkas. 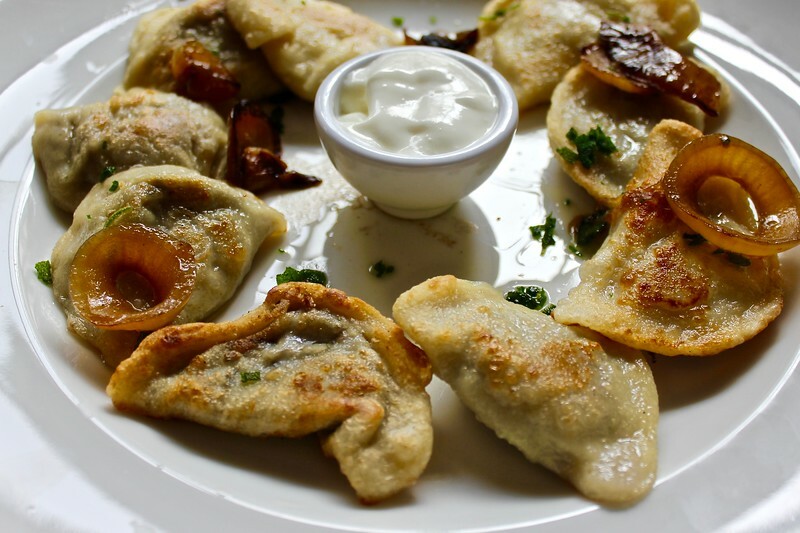 The double-decker Der Elefant Restaurant is where I had my first taste of pierogis, but you can also sample fresh seafood from around the world and order from an extensive wine list. 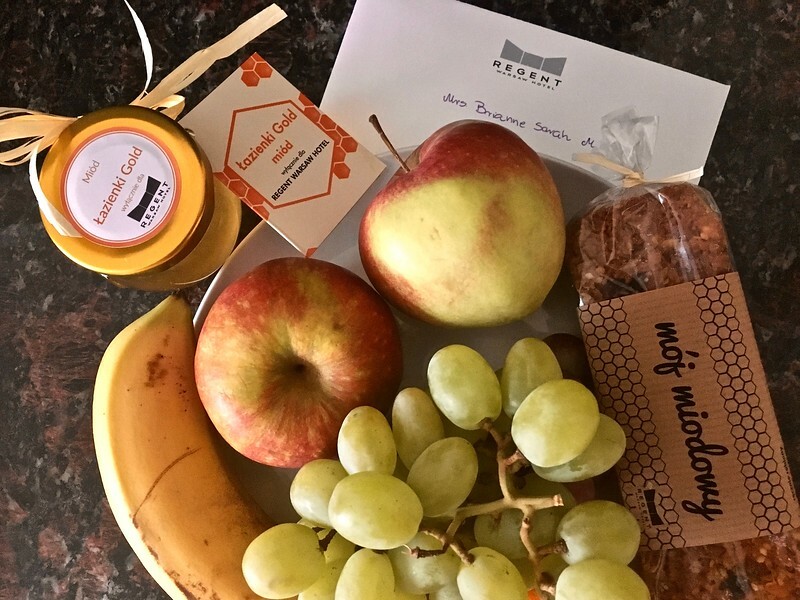 We stayed at the Regent Warsaw Hotel, which is located in a quiet area of town near Royal Łazienki Park. A favorite of business travelers, its 246 rooms are spacious and modern, and decorated in earth tones. One fun fact about the hotel is that it has an apiary on its roof, so it makes its own honey, which I got to bring home. The magnificent Hotel Bristol dates back to 1901 – it miraculously survived World War II. 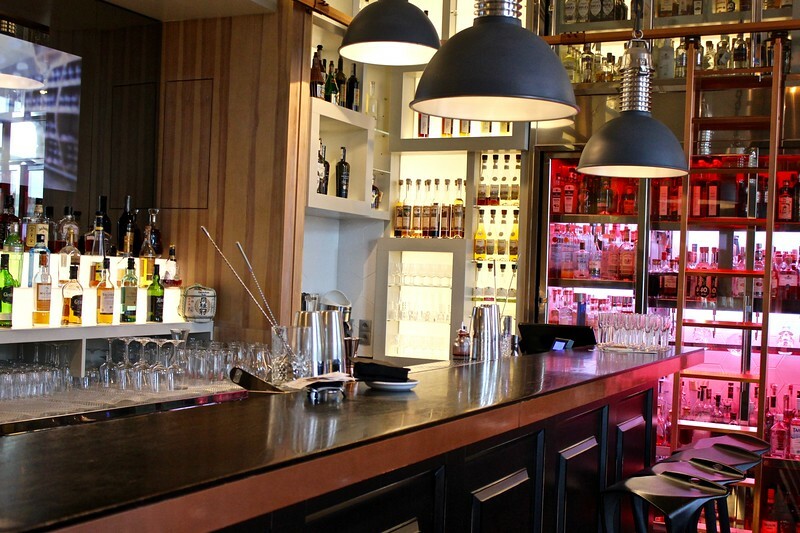 It’s definitely worth stopping by at least to have a drink at the Bristol Wine Bar or Column Bar, and marvel at the hotel’s Art Nouveau decor. It also has a lovely spa on the bottom level. We took LOT Airlines‘ inaugural flight from Newark to Warsaw. The rapidly expanding airline connects 70 cities around the world with its Warsaw hub. Thank you to Poland Travel for organizing this once-in-a-lifetime trip for me and hosting me throughout my stay in Warsaw and Krakow. All opinions are my own. 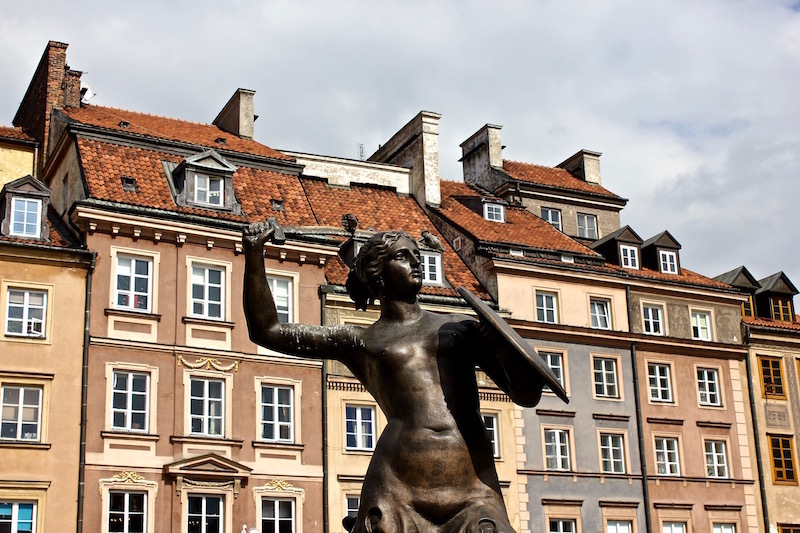 Banner image: This Mermaid statue, depicting the symbol of Warsaw, is located in Market Square in Old Town, on the site of the former Warsaw City Hall. 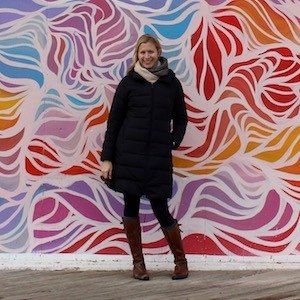 Warsaw is truly magical, Brianne! I live in Gdansk and I love Warsaw! Thanks for the awesome itinerary. Those are definitely the highlights! Thanks! It was a fantastic experience, and I would really like to go back and explore the country more fully. Fingers crossed that you get there soon! It has been almost 6 years since I was last in Warsaw. I think I need to make a trip back ASAP! Great suggestions! 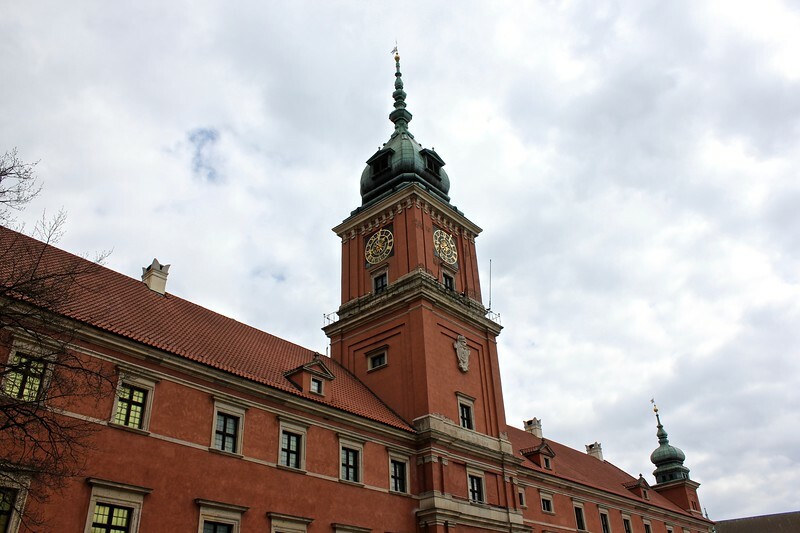 I look forward to visiting Warsaw next year so much and this guide has definitely added a few musts to my itinerary 🙂 Going for a wedding, but should be able to explore the city for a few days. That Neon Museum looks stunning! I would love to visit Wasrsaw again, I’m going to age myself here, but I visited back in 1987 and it would be so incredibly different now! 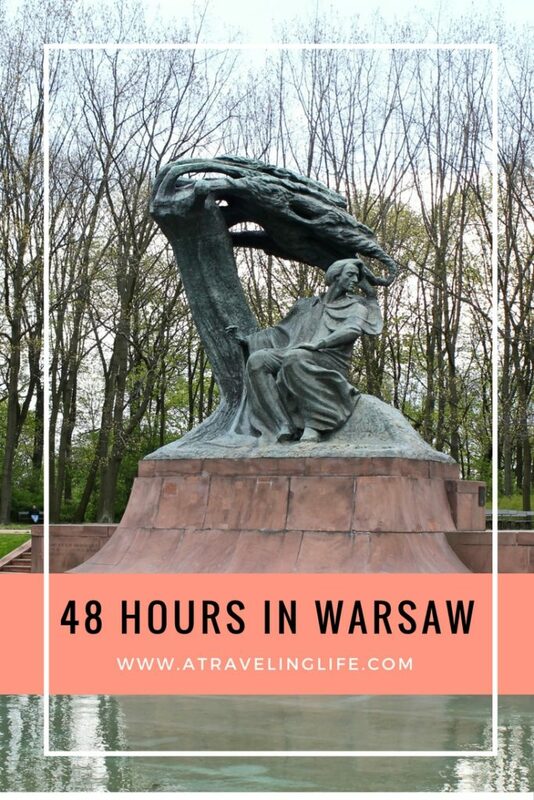 Great guide 🙂 I love visiting Warsaw, it is one of my favorite European destinations. I love visiting it and exploring all of it amazing spots and beautiful corners. One of my favorite place to go to is a restaurant called the Akademia. They specialize in Polish cuisine, which I love, and everything they serve is incredibly tasty. For me it is a culinary must of the city! When I was in Poland I didn’t make it to Warsaw and now I really regret it. Looks like a wonderful city, just like Krakow and Wroclaw. It was an interesting place for sure! I only got to Warsaw and Krakow on this trip but have heard great things about Wroclaw.